Capital Alliance has appointed Icon Co to build its 17-storey The Docklands Residences, which will include a 200 room Marriott hotel - the first to be built in Australia in 20 years. Located within The District Docklands precinct, the $250 million mixed-use development has been designed by DKO Architecture, and will also include 100 oversized one to three-bedroom apartments in addition to Marriott Docklands. The architects have conceived the development as two interlinked sculptural petal-shaped towers that will intersect with vertical plantings adding an element of nature while also providing privacy between apartments. The centrepiece of the development will be a rooftop infinity pool and serviced by an adjoining bar. At ground-level an additional bar, restaurant and laneway cafe will be open to guests, residents and visitors to the development. The development will be built above the former Harbour Town shopping centre now known as The District Docklands - a retail, leisure and entertainment precinct on Waterfront Way. Hotel rooms and apartments will encompass views of the sunset in the west over the Bolte Bridge or views back towards the Melbourne skyline. According to Capital Alliance, the Marriott Docklands represents an exciting landmark for the precinct and he was optimistic about what the project would offer future residents and guests. Icon is the result of the recent merger of Icon Co and Cockram Australia to form one of Australia’s largest construction companies under parent company Kajima Corporation, with The Docklands Residences representing the company’s first major project delivered under the consolidated entity. The Marriott Docklands joins WOODWORK - an 8-storey CLT office building of 8,000 sqm under construction within The District, with construction also progressing at The Market which will include a Woolworths supermarket, complimented by Dan Murphy’s and a large scale Asian grocer. A new Entertainment and Dining Precinct recently opened featuring a HOYTS, Asian hawker-style restaurant 8Eight Street and micro-brewery Urban Alley Brewery plus entertainment by Archie Brothers Electric Circus. Icon will commence site establishment works on the Marriott Docklands next month with an expected completion date of mid-2020. Early, last week it was also announced that MAB had received approval for its NewQuay West Master Plan. Look out for our Q&A with MAB General Manager - Residential, David Allt-Graham. Icon Co has a strong reputation in delivering high quality projects and we are confident they will deliver on this landmark project for Docklands. It’s been a long time coming for this project, so we’re tremendously excited in moving forward to commencing construction shortly and delivering the Docklands Residences and the first Marriott to be built in Australia in 20 years. This is a significant and exciting project for Melbourne and Icon is thrilled to be playing a major part. 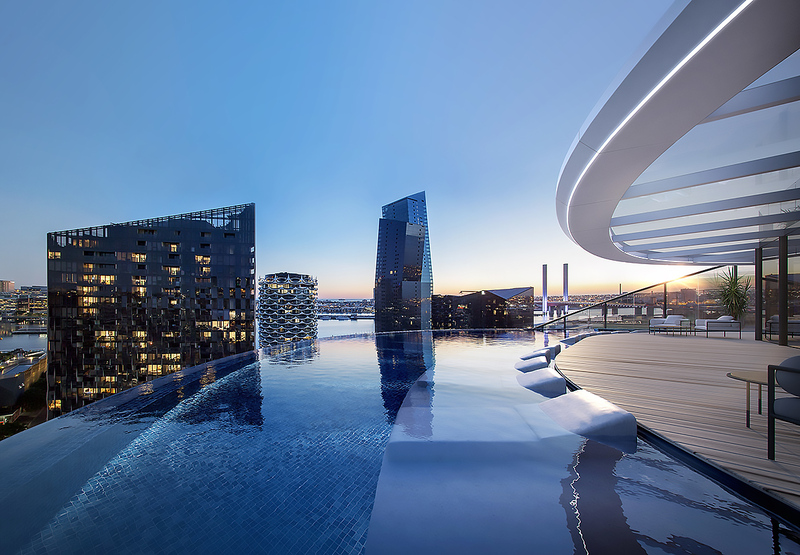 In the past 18-months, hotels have made a real comeback in Melbourne, and the Marriot Docklands will be one of the first international luxury offerings to be completed in this wave - an accomplishment we will be extremely proud of. This marks another significant milestone in the continued evolution of the precinct. More importantly, it highlights the rapid growth and extensive development pipeline in the area, which reinforces our vision of creating a world class ‘urban village’ and underpins our long-term investment strategy in The District and the broader Docklands precinct.